We are into the business of manufacturing, exporting and supplying excellent grade Spring Hanger (50 mm) with 50 mm standard deflection. 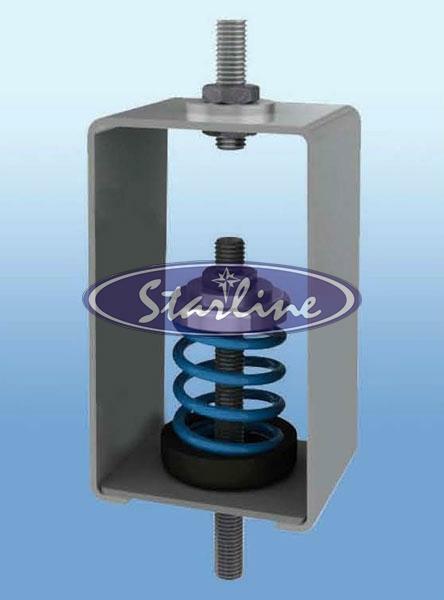 Our Spring Hanger is used for isolation of vibration produced by suspended mechanical equipment, low speed suspended fan, transformers, ductwork, piping, etc. 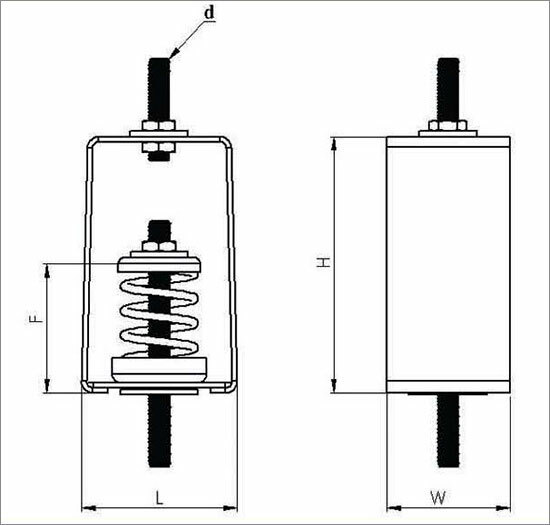 Spring Hanger that we offer is especially recommended for isolating any suspended source of audible or inaudible noise and vibration with minimum static deflection requirement exceeding 25 mm and up to 50 mm. Moreover, bulk quantities of our Spring Hanger can be obtained at very affordable rates from us. Isolation brackets are capable of overloading upto 500%. Frame Hot dip Galvanized. Part Number Prefix with "HDG". Spring Neoprene Coated. Part Number prefix with "N". Spring Plastic Dip coated. Part Number prefix with "P". Note : Spring Hangers with higher capacity available on application.